Although letter recognition and phonemics are part of our curriculum everyday, for the past week and a half we have focused heavily on letters – what they look like, what they sound like, how to make them etc. We played with giant wooden letters. Without much help, several children arranged these letters in alphabetical order. 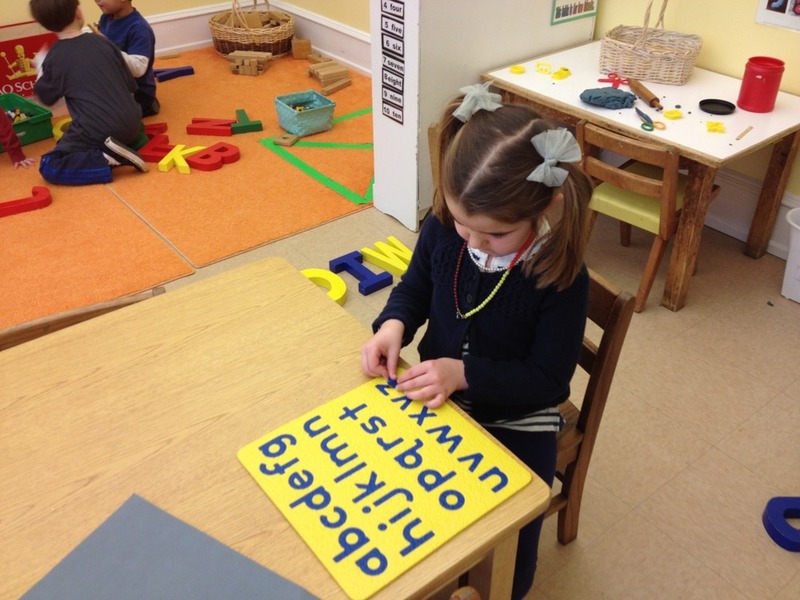 Others used the letters to write their names or their initials. And some of the children built with the letters. 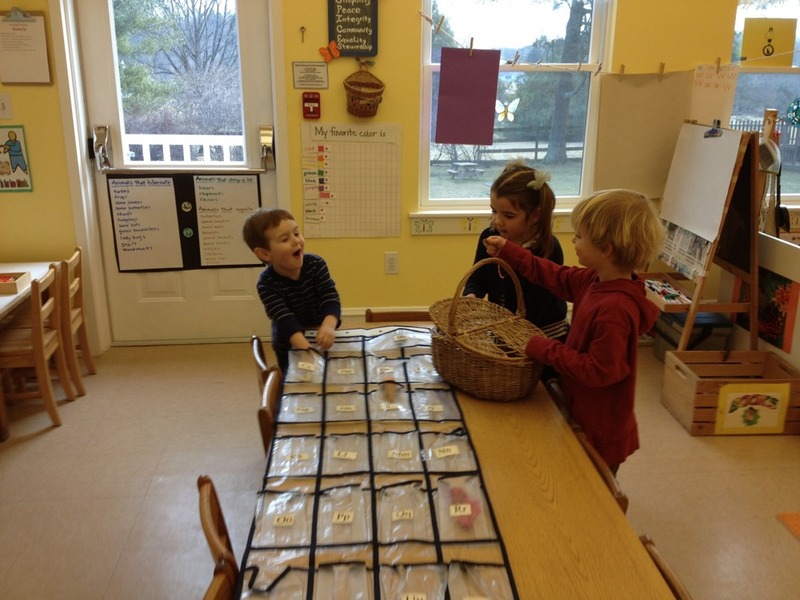 We played a lotto game that involved beginning sounds and letter recognition. Everyone played the first time using upper case letters. The next time we played the game, the children who already knew all of their upper case letters played it using lower case letters. We delivered “mail” in the hallway by matching beginning sounds. Each piece of mail had a picture on it and the children had to put it in the mail folder that had a picture with the same beginning sound. We did upper and lower case letter puzzles. We made letters with stamps, with play dough, with wikki stix and with oil pastels. We read lots of books about letters including one of my favorites, The Z was Zapped, by Chris Van Allsburg. The whole class loved this book! 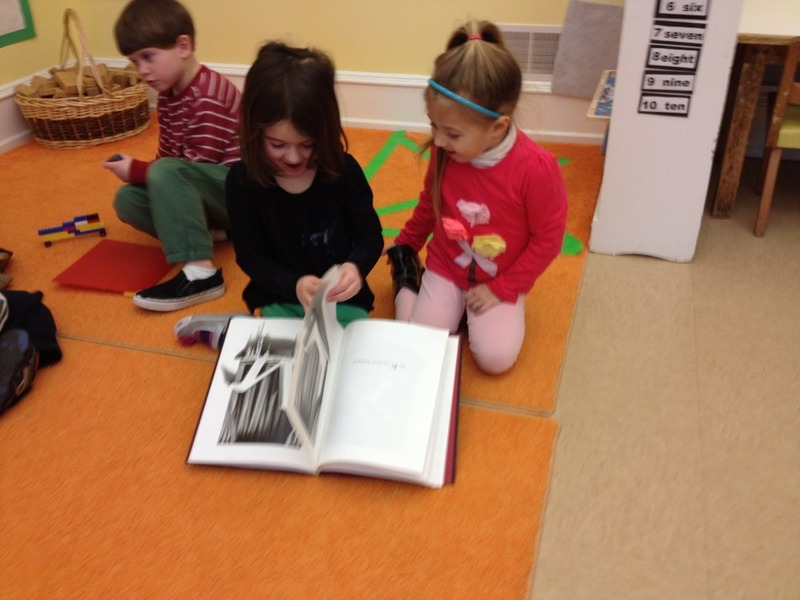 We also read Chica Chica Boom Boom and then the children each wrote a new ending to the story. They were asked to include at least five letters in their illustrations. These are hanging up in the hallway.